A large apartment, near Didube Pantheon. at about 153 m2. apartment is designed by Georgian famous designer. in 9th floor, there is a one kitchen and 2 room, 1 bathroom. in second floor, you can find out a 2 room and one bathroom with a large balcony. 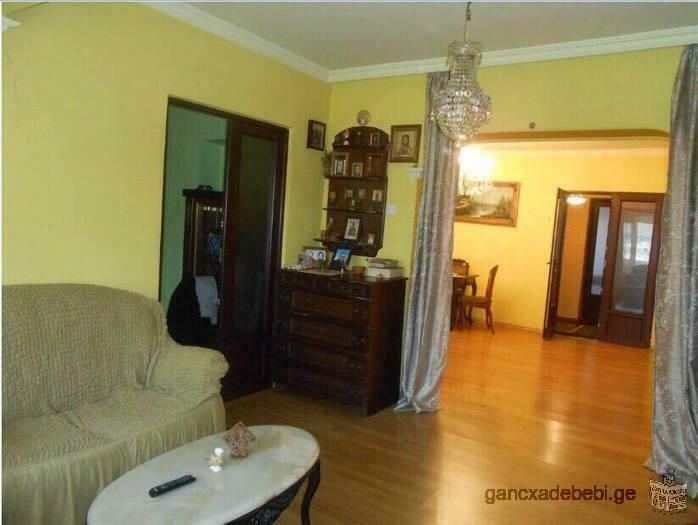 The house in Tbilisi is on sale. Immobilie mit Zukunft! Günstig! 2 floor house with a penthouse and with own court yard, on isani-samgori area. HAUS ZUM VERKAUFEN 2 STOCKIGES HAUS MIT DEM GARTEN. I'm selling small, lovely country-side house with beautiful yard! house is located in the peaceful and safe place, with easily accessible infrastructure. for more information please write an e mail, we can also organize a trip in order to help your decision. Rustaveli avenue 40, IV floor, 20 sq. m., needs repairs, theft safety secured (iron doors and latices), a bit furnished; bath, toilet and natural gas tubes on site; lovely neighborhood; with parking lot. 35,000 USD (trading possible). sale flat in ORBI RESIDENCE. hotel room 1505. it wiil be complete 2014 year in april. view of sea.